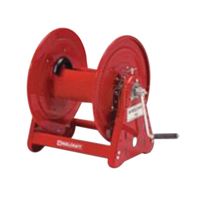 Hose Reel is a cylinder, spool, or frame, that turns on an axis and is used for winding and storing hose. 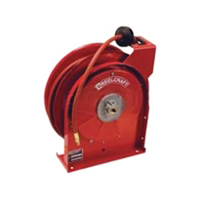 The most common styles of hose reels are spring driven (which is self retracting), hand crank, or motor driven. 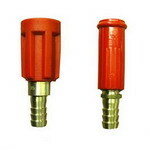 Hose reels are categorized by the diameter and length of the hose they hold, the pressure rating and the rewind method. 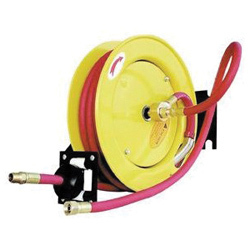 Hose reels can either be fixed in a permanent location, or portable and attached to a truck, trailer, or cart.